Carved pumpkins don’t even last a week here in California, so I decided to switch to a longer lasting, easier and cuter pumpkin this year! 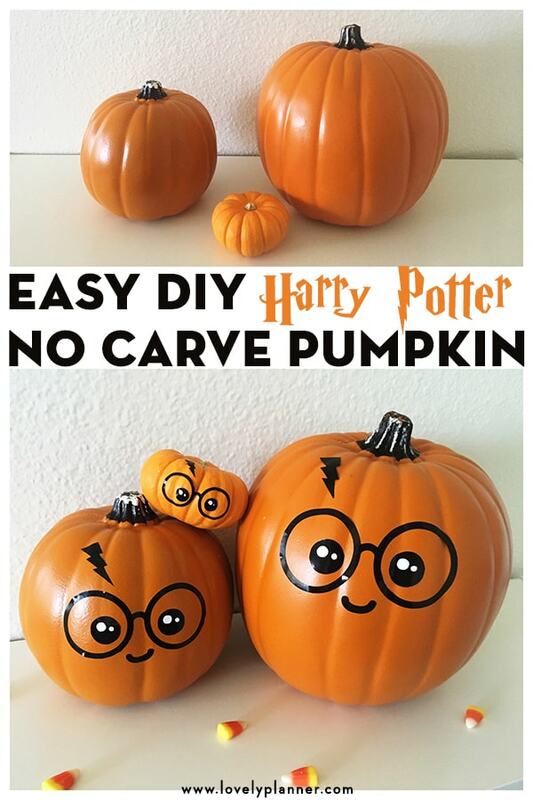 I created a cute Harry Potter pumpkin to decorate my home for Halloween. I’m super excited to share this tutorial (+ free SVG file) with you to help you create it too! 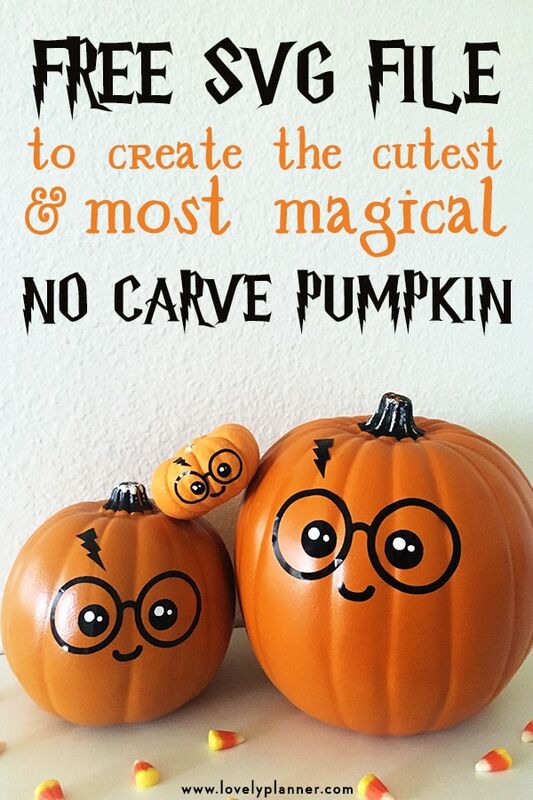 What’s awesome about this DIY is that it’s one of the easiest way to decorate your pumpkin for Halloween: it’s a great no carve pumpkin, no paint pumpkin, and overall no mess pumpkin option! And I mean, look at these faces! Make sure to check out these 13 Halloween free SVG cut files to get your craft on and customize everything! The magic ingredient of this DIY is vinyl adhesive paper. I used this same method in my tutorial DIY vinyl eye decals to make everything adorable and it never disappoints! Even though this vinyl pumpkin takes no time to make, your pumpkin will keep looking nice for a long time: all along october or even year after year if you decide to use craft pumpkins for this DIY instead of real ones. I got my big and medium craft pumpkins from Michaels. I love everything that is Harry Potter related so Halloween is a perfect excuse to celebrate my favorite wizard! 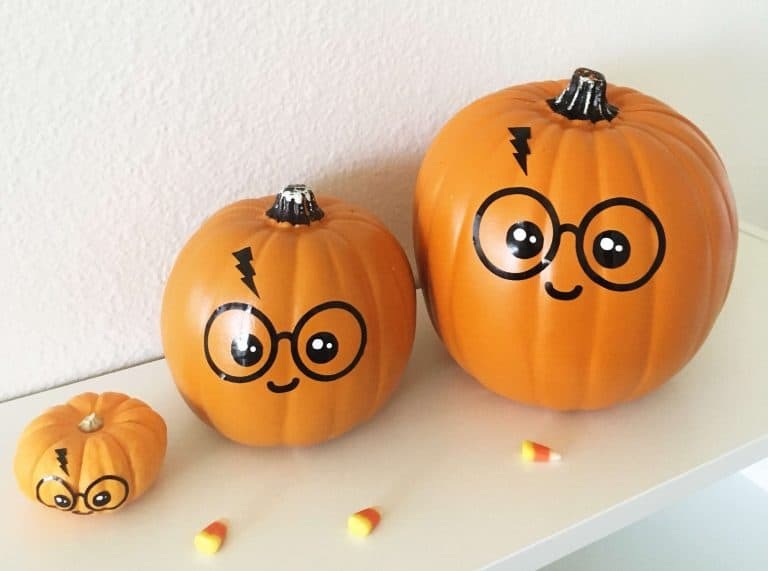 And if you’ve been following me a bit, you probably know how much I like cute “kawaii” stuff too so I knew I wanted to add an extra dose of cuteness to my HP pumpkin: enter the cute kawaii eyes and mouth. Best of both worlds! 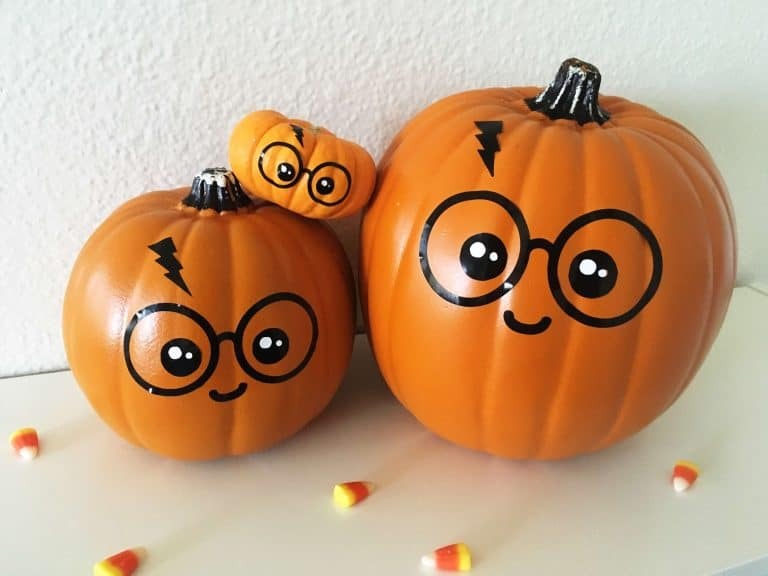 If you’d like a more serious Harry Potter look, you can just put the eyes and mouth aside and only place the glasses and lightning scar on your pumpkin. If you like Harry Potter or if you’re planning a Harry Potter themed party, make sure to check out my many Harry Potter inspired free printables! I love my pumpkins very much, and I hope you will like yours too. I made them yesterday and they make me smile every time I look at them. Happy Halloween! 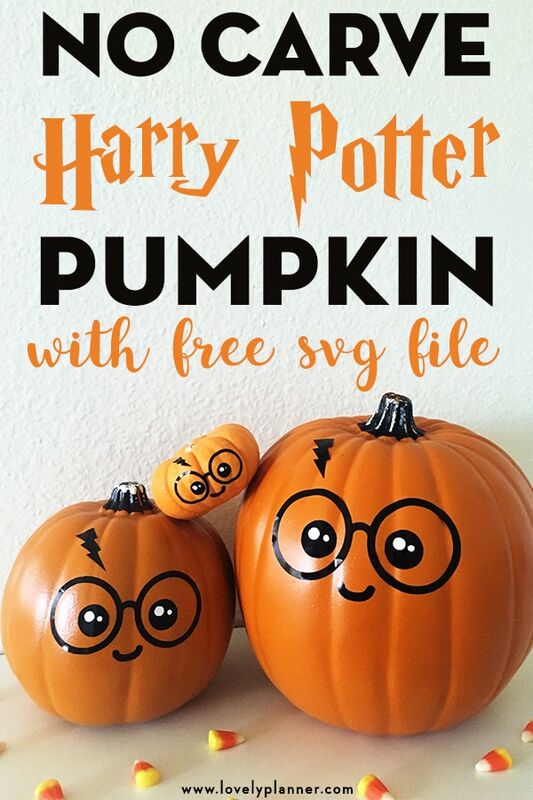 You can download the Cute Harry Potter Pumpkin further down this page, in 3 formats: Studio (if you’re using a Silhouette machine), SVG and JPEG. then it will make it faster and easier! 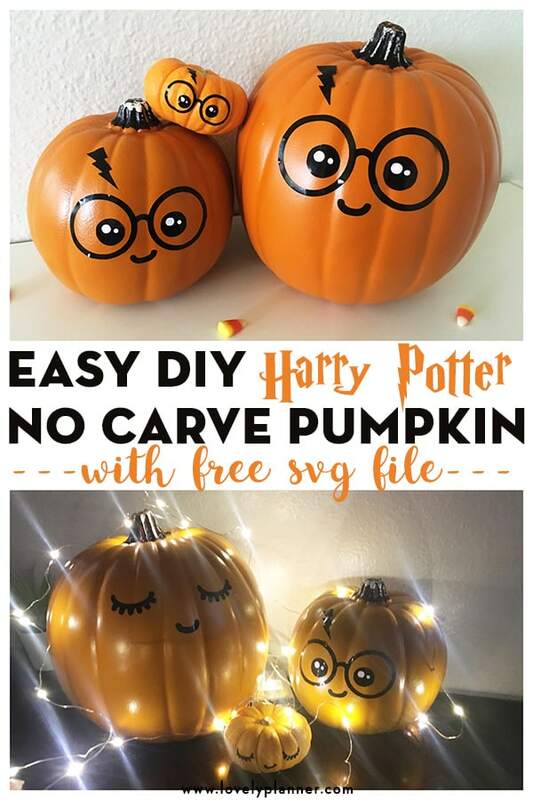 Alternatively, if you want to make this DIY right here right now super fast, you could decide to use a black marker and draw this design down onto your pumpkins! Once your design is cut you simply have to stick each element to your pumpkin. Putting the glasses on is a little tricky as its all in once piece and pumpkins aren’t totally flat, but i managed to get it applied nicely all around by applying it slowly and smoothing the vinyl as I go. You can play with the elements to make it your own: space the mouth as far or close to the glasses as you’d like, same for the lightning scar, you could also move the eyes to give it a different look. In the same way you could discard the lightning scar or the mouth for example. The way I made mine isn’t the only way you can do yours! Have fun with it! Make a two faced pumpkin: To keep your decor fun and fresh, add another face or cute design on the other side of the pumpkin to have two decor options! Sort of a Dr Jekyll and Mister Hyde kind of pumpkin. That’s what I did with my pumpkins! Check out what design I used on the other side of each pumpkin. 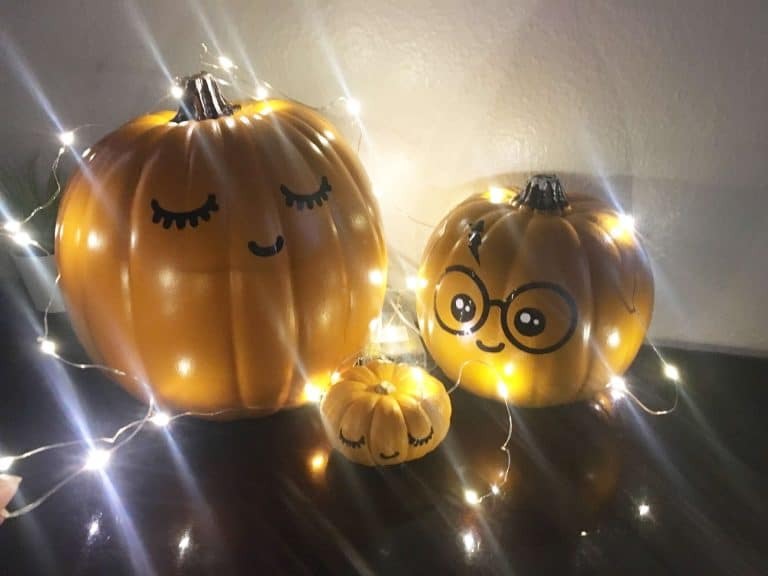 Create your own little family of pumpkins: I decided to get 3 pumpkins in 3 different sizes because we’re 3 at home (my husband, myself and Scully our mini dachshund puppy) and I like the idea that these pumpkins would look like our little family! 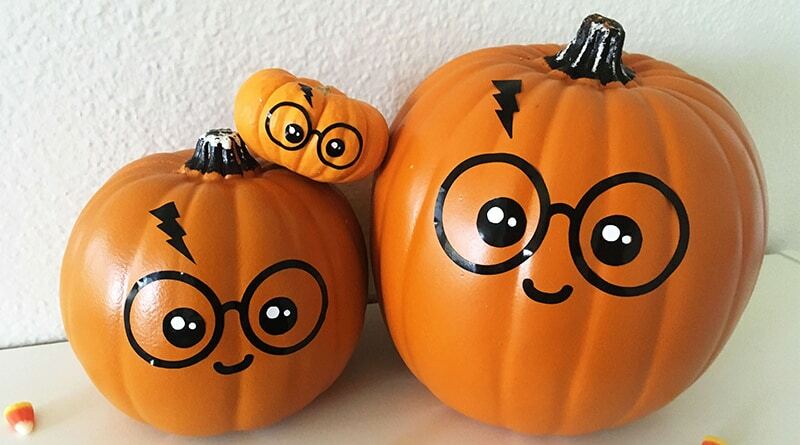 Next year I might just get a different design for each of us: my husband would still mostly look like Harry Potter, I would use more feminine eyes and mouth for me, and probably try to get a dog face for the mini pumpkin. You can download this file in 3 different formats: SVG, Studio (for Silhouette users only) or JPEG. Pick whichever file fits your needs best! 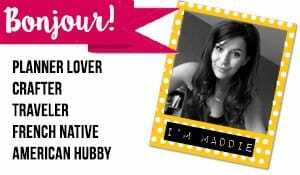 Thanks Maddie! Yet an other adorable freebie you made! You’re the best!